Come join us on April 20th to participate in Movin’ with the Marc! This is a 5k run/walk that takes place on the Meadville High School cross country course. Proceeds will be split between the Meadville Oncology Center (50%), the MARC (25%) and the Meadivlle High School Vo Tech program (25%). There will also be a free Kid’s Fun Run for ages 10 and under. Hope to see you there! The course makes 2 loops around Meadville High School and the MARC. The course is marked and volunteers will also be on the course to provide direction/encouragement. The Kid’s Fun Run is roughly 0.25 mile and will be run around the MARC parking lot. 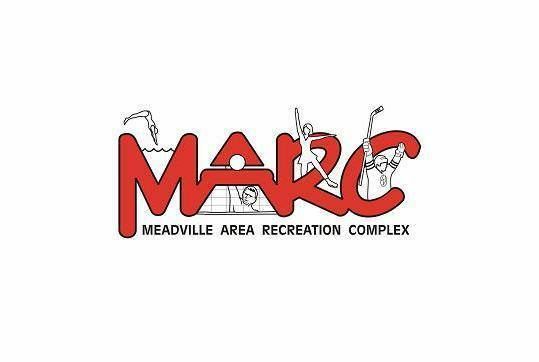 Please park in the Meadville Area Recreation Complex parking lot. In order to register/pick up your packet, you must present a valid form of ID. Race day registrants will be asked to sign a waiver. Registrants under the age of 18 will require an adult with them to sign the waiver. We all know that Meadville weather can be unpredictable; it would be a good idea to pack for a variety of conditions. Also, some of the course is run on grass; muddy conditions are possible.